Come and explore the darker side of Memphis. Your 90-minute tour will reveal Memphis history about dark hauntings, disasters, murders and local legends. Let us "endarken" you with amazing stories, history, hauntings and local legends on your haunted 90-minute bus tour. Your informative and entertaining guides will share the dark history of Memphis including murders, hauntings and the interesting local history of Memphis. 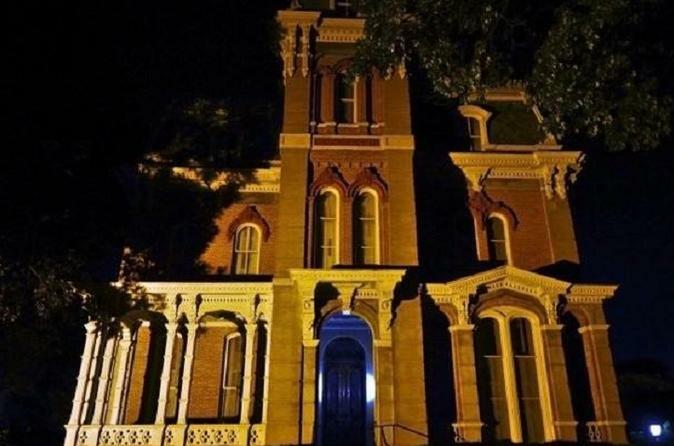 You will make 2 stops while on this tour: one in downtown at the scene of a ghost story, where we will do some investigating and the other at the Victorian Village, home of the Woodruff Fontaine House which was featured on Ghost Hunters. Make sure you have your camera's ready as there will be multiple photo opportunities. You also may catch your own paranormal evidence of orbs, apparitions and spectral figures. Along the way, you will drive by historical and haunted locations in Memphis that include the infamous Ernestine and Hazels; The Metal Museum; Native American Mounds; The Arcade Restaurant - Memphis' oldest cafe; and The Orpheum theater. You will hear more stories and see more locations throughout the tour so prepare to shiver, shake and learn why Memphis is more of a haunted city than you think.